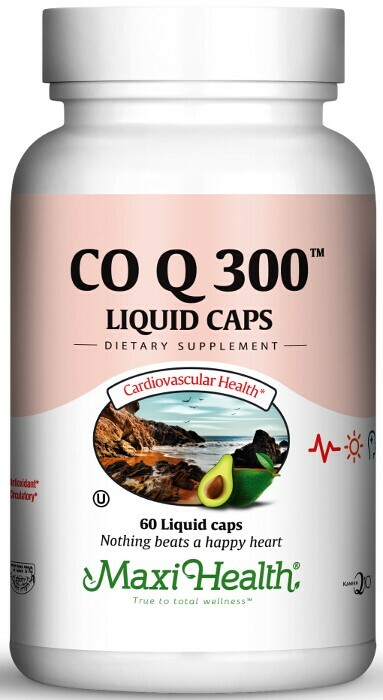 If you prefer the liquid cap form of Co Q 10 to take advantage of the greater absorbability, you really should consider Co Q 300 Liquid Caps™ from Maxi Health. Get Maxi Co Q 300 Liquid Caps™ today! Take one (1) Maxicap™ once or twice daily with meals or as directed. Other Ingredients: Rice Bran Oil, vegetable cellulose, vegetable wax, d-alpha tocopheryl acetate, and chloropyll. This product contains no animal products, wheat, gluten, yeast, sugar, salt, milk, corn, artificial flavors, colorings, or preservatives.